Did you know that you're never more than 50m from a rat? Or that there are more than 30 spiders in the average home? That ants take naps or that female wasps are the stingers? While all this is fascinating, we've been somewhat captivated by new research undertaken by home interiors specialists at Hillarys that reveals that some household pests are much more common to some UK regions than others. The benefit of this knowledge? 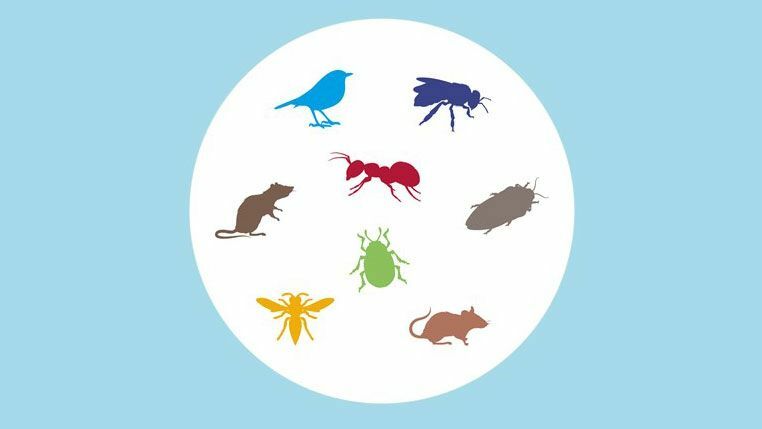 Well, while it's always worth looking out for – and banishing – all types of household pest, it's useful to know which ones you're more likely to suffer from than others, and take preventative action accordingly. So, read on to discover what you should be on the lookout for (either out of fear or morbid fascination), using this handy infographic. Will it be birds or bed bugs, insects, rats or other rodents? For those of you in the capital, it's more likely to be bed bugs you'll want to be on the lookout for. This is somewhat unsurprising given the high volume of renters (but unnerving none the less). Our advice? Don't settle for the landlord's mattress; get him/her to remove it and get your own. If you're from, Birmingham, Nottingham, Leicester and the like, keep an eye out for cockroaches. These terrors are sneaky and often found in homes near restaurants and fast food outlets, so ensure you've sealed up any cracks or holes and clean your home and garden to keep them away. It's rats you'll want to be mindful of if you're from Wales or Northern Ireland (although any city-dweller will tell you they've spotted them). While this infographic suggests you're never further than 50 metres from a rat, we've heard it is something closer to one or two metres. Brilliant. Don't worry, though – we've got tons of advice (below) to help you get rid of them. It's rats' smaller cousin you're more likely to be sharing with in the North West. Smaller, yes, but sharing your home with a mouse is far from preferable, however, so you'll want to keep your home clean and your food in sealed containers to prevent a visit. See below for more ways to get rid of mice, too. It seems that those living in The North East have it a little easier than the rest of the country, with ants coming out as most common local critter. But anyone who's left food out on a warm day will tell you they're just as likely to conduct a house invasion wherever you are in the country. And with the infographic telling us that the longest ant colony was 3,750 miles in length (we're pretty sure that wasn't in the UK – answers on a postcard please), we can confirm that they're tenacious little devils. Down South, it's all about insects. The survey provides little detail (no one claimed it was that scientific), and at this time of year they're hardly a problem, but in summer it's all about pesky flies in the Real Homes London office. Though they're more common in the summer, wasps are considered the most common critter in the South West, probably on account of the (slightly) warmer weather. If you're up in Scotland, you might find birds expecting to share your home. Keep an eye out for birds nesting in the walls, loft and other areas of the home and act before they do damage.